The idea of offering an ereader or tablet bundled with content may have fallen out of favor in much of the western world but the same cannot be said for Russia. The-eBook.org reports that Onyx has announced a new custom ereader called the Dontsova Book. 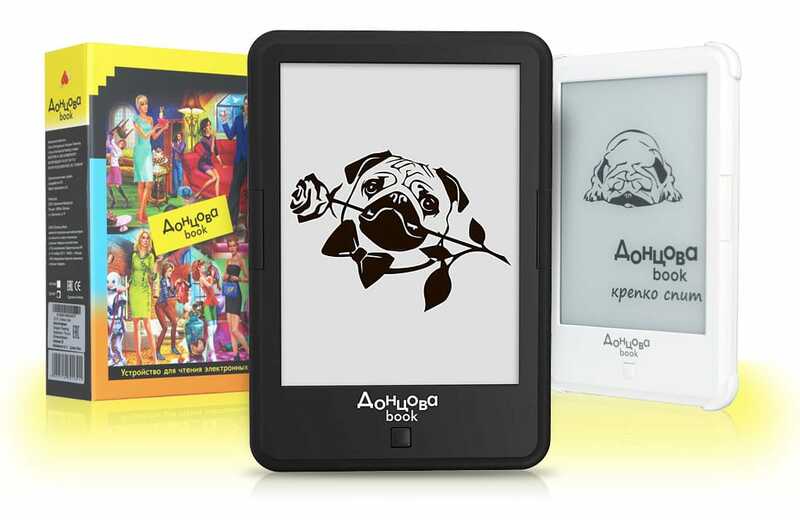 Developed in partnership with eBook Applications, the Dontsova Book is the third in Onyx's line of Fanbuk ereaders. It combines a top of the line ereader with a library of works of Darya Dontsova, the well-known mystery author. It went on sale this week with a retail price of 10,990 rubles, or about $198. The Dontsova Book sports a 6" Carta E-ink display with a screen resolution of 1024 x 758 and a frontlight and touchscreen. It runs Android 4.2 on a dual-core 1GHz CPU with 512MB RAM, and 8GB internal storage. It also has Wifi and a microSD card slot, but no audio or Bluetooth. Weighing in at 169 grams, the Dontsova Book measures 8.7mm thin. From what I can see, the Dontsova Book looks to be based on the updated Onyx Boox C67ML Darwin ereader which launched last month. The specs are identical, and both run the same good software with an excellent reading app and the option of installing your own apps from Google Play. If you buy the C67ML from China you'll pay $146, but the list price in Russia is 9,990 rubles. The Dontsova Book, on the other hand, costs 10,990 rubles and comes bundled with 40 titles by Dontsova. That is a decent value for the price. I've been fascinated with the Fanbook idea ever since I covered the first model in February 2014. That unit featured the works of the best-selling author Boris Akunin. It bundled both a selection of his books as well as software which would let the reader know when Akunin had published something new. I like the idea, and I've always wanted to see it tried in the US (just to see what would happen). I think Harry Potter, for example, could do very well if sold on a bundled ereader; it could come with all the titles of the series and the related titles. This idea could also work with series like 50 Shades; in that case the ereader would also include a first-aid booklet with instructions on how to treat rope burns. What would tempt you to buy a bundled ereader? That sounds like a good marketing tool to me, also.